Not only did they turn over all of the records to the govt, they lost the lawsuit. Yet they are still continuing the practice of lying about their product. Wow, just wow. Every day I wonder how much lower we can sink and every day I see the bar being lowered. The Daily Sheeple can report that, not only did Wise Company allegedly mislead consumers about the nutritional content of their products, it appears that the company handed over highly confidential consumer data to the government — not once, but twice — during the proceedings. Denton, Elvis, Annie and 1 others like this. I grow my own. I have tomato sauce/paste from 2010 that is still great, so are peaches, dried mushrooms, canned beans, pickeles, ....i'm just starting to use that. I took a couple of packages from"wise" for free on an offer, they sucked dog nuts! NewRiverGeorge and Mule13 like this. Seems it is not so wise to buy Wise. inceptor, NewRiverGeorge, stevekozak and 1 others like this. Wise is one of the worst out there, but spend a lot on advertising. WHAT EVER HAPPENED TO NANCY PELOUSEY ANd her stinking tuna/starkist law suit? We're slowly stockpiling some forms of food. For example, we buy a dozen or so of the Costco canned chicken. It's all white meat, and we eat it, along with the dog and his diet. If TEOTWAWKI hits, we all can eat. StratMaster, Annie and inceptor like this. That canned chicken is great! One big pot of rice, couple cans of chicken, one giant family sized can of Cream of Mushroom soup and BOOM! Feed an army with hot yummy food made in a few minutes! Prepared One, NewRiverGeorge and Annie like this. 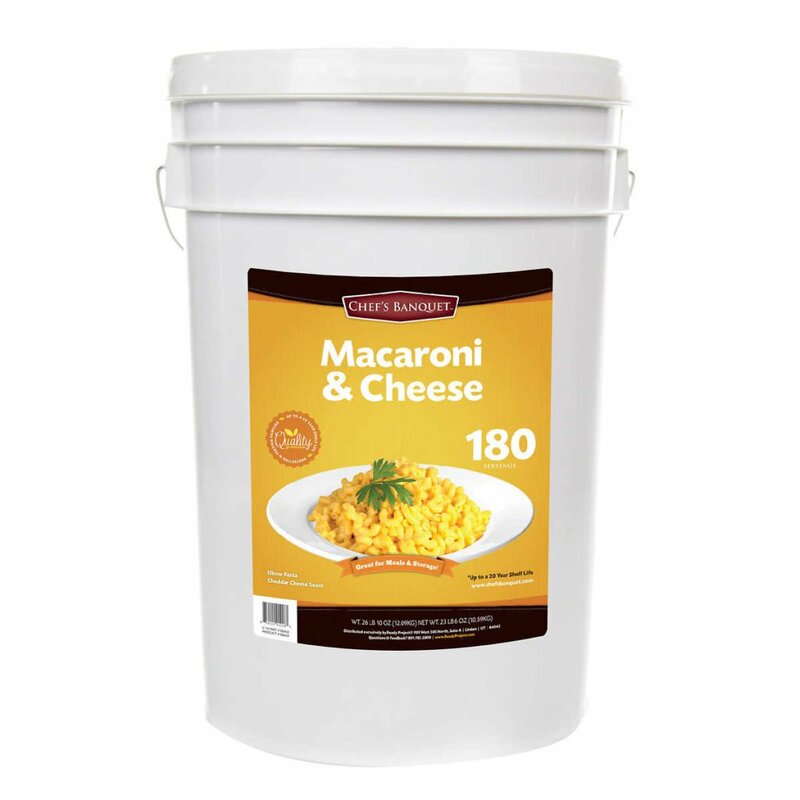 I've got a number of buckets of various long term food storage items, Wise among them. Every so often I'll take a packet and prepare/eat it. Of course, it's not the same as preparing food from scratch nor should it be. But in a SHTF situation, I'll be glad that I have it. Denton, StratMaster, inceptor and 1 others like this. I have a couple of buckets of Mountain House freeze dried foods of various meals. Only meant to be a supplement to my regular stores really. Now, Wise turning over their customer list is a concern. They just made all those who purchased from them a potential target should things go south. What am I saying, our benevolent government would not do such a thing, would they? inceptor and StratMaster like this. Most of the Wise stuff (with a few exceptions) is like watery soup with some kind of sandy filler to try and thicken it up some. Does NOT, IMO, satisfy a manly appetite. Some of the Mountains house stuff (like "breakfast skillet) has more weight and substance, fills a man up better. I have also purchased the big 7 gallon buckets of freeze dried sausage hunks... good to add in to other meals which need a little manly appetite help. Couldn't find a picture of them, but they are the same size as these mac N cheese (which I have also). Denton and The Tourist like this.